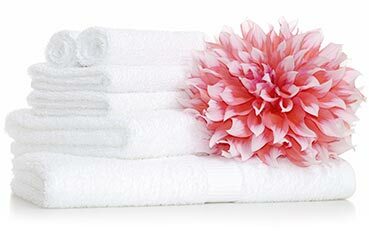 Accommodation Linen was established in 1967 in order to meet the linen, towelling and table linen needs of a rapidly growing Hotel, Motel and Restaurant trade in NSW. In late 1972 we widened our market focus to include the Healthcare industry. Today Accommodation Linen is part of Alliance Textiles, a National collection of leading textiles distributors that service every state and territory in Australia; however, we remain a family run business for three generations. Our company supplies almost every product required for a hotel room or a hospital ward and boasts a range of high quality Australian made and imported products to meet the needs of international hotels, resorts & luxury accommodation as well as boutique bed and breakfasts, the local motel, private hospitals and aged care facilities. Accommodation Linen is a distributor for many leading brands of products including Actil Commercial, Tontine, Alliance, Vellux, Wilson Curtain Fabrics and Buddies Australia. Furthermore, our long-standing relationship of over 25 years with Actil Commercial, a division of Sheridan Australia, as the sole distributor in New South Wales reflects our reliability and focus on quality products and affordability. Our team boasts over 180 years of industry experience collectively and as such we are confident we can meet the needs of any customer utilising industry knowledge and our extensive product portfolio.